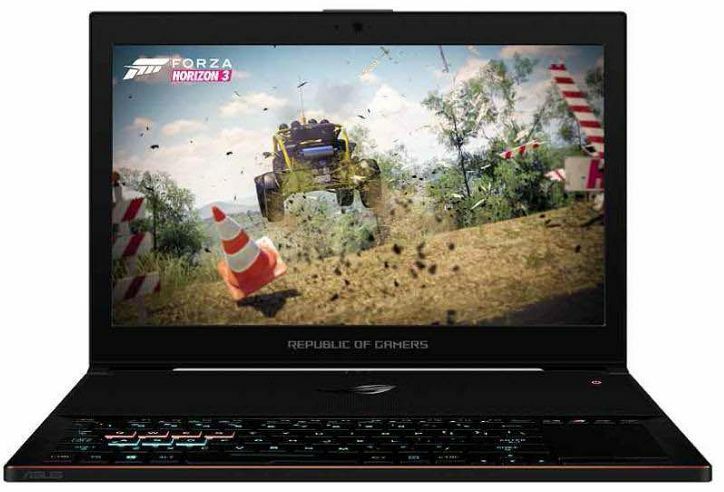 The Asus ROG Zephyrus bucks all trends. 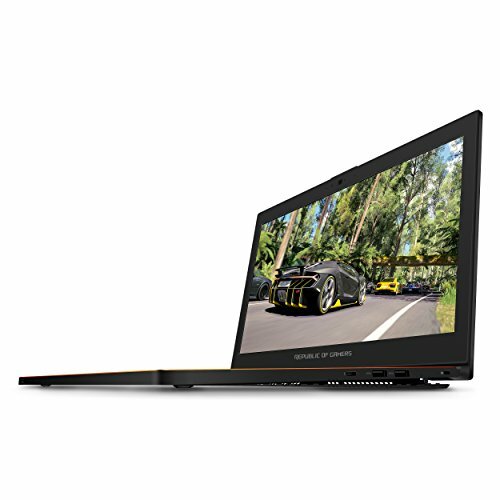 It marries GTX 1080 graphics with a super-slim chassis, and the result is a beautiful and powerful ultra-portable gaming laptop. Even from afar, the Zephyrus is a head-turner. 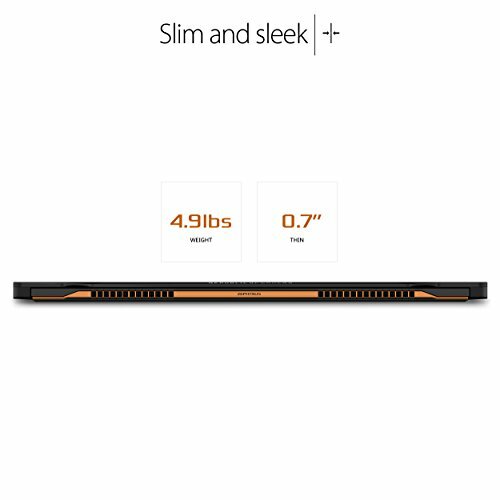 It measures 17.9mm thick, while its svelte frame and brushed-metal chassis look gorgeous. As you open the Zephyrus’ lid, you’ll first notice the odd placement of the keyboard and trackpad. The former is flush with the front of the laptop and, with no wristrest to house it, the touchpad sits to the right. That’s not the only strange design touch. If you look to the side as you open the lid, you’ll see a plastic plate extends, making it look as if the laptop is broken. In fact, this ingenious bit of design gives the laptop more room to dissipate heat. At first, I disliked the design, but as I used the laptop I grew accustomed to the odd positioning. The trackpad position replicates that of a mouse and, if you tap the button above, it replaces the trackpad with a touch-based number pad. 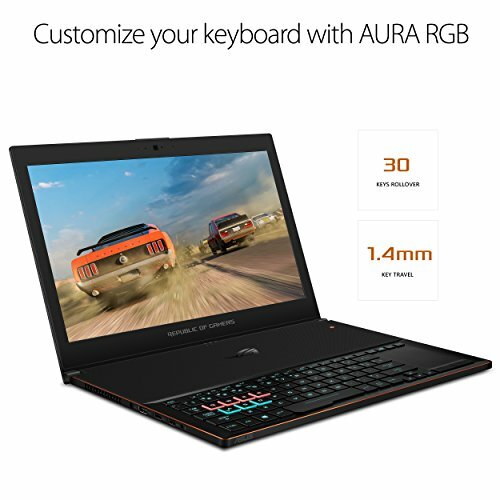 The RGB keyboard is, naturally, customisable through Asus’ ROG Aura Core software, but most importantly it’s comfortable to type on. The two front-facing stereo 2W speakers on either side of the keyboard provide respectable sound quality but I found them a little quiet. There’s no shortage of ports: four USB 2, HDMI 2, USB-C Thunderbolt and a 3.5mm headphone/mic jack. For wireless, there’s integrated 8o2.nac Wi-Fi and Bluetooth 4.1. Asus also provides a USB-to-Ethernet adapter in the box, which is essential for low-latency gaming. The star of the show, though, is the 15.6m 1,920 x 1,080 IPS display. 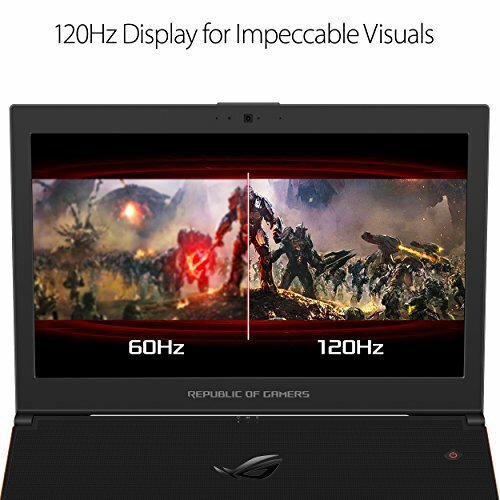 For gaming, this 120Hz panel is more fluid than any other laptop I’ve seen, while Nvidia’s G-Sync support eliminates screen tearing. IPS technology lends onscreen images plenty of presence as well, with a highly respectable contrast ratio of 1,253:1. However, it misses the mark in a few key areas: it isn’t particularly color accurate with an average Delta E of 3.16, and its 307cd/m2 peak brightness is rather dull. These won’t pose a potent threat for gamers using it in most indoor situations, but if you do a lot of Photoshop work, it’s something to be aware of. 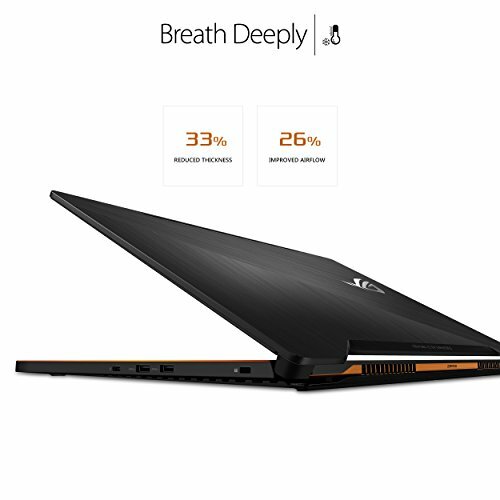 For a laptop that’s 17.9mm thick, the Zephyrus is a beast. Inside sits a 2.8GHz quad-core Intel Core i7-7700HQ processor, an Nvidia GeForce GTX 1080 Max-Q Design GPU with 8GB GDDR5 VRAM, 16GB of DDR4 RAM and a 512GB PCIe Gen 3X4 M.2 SSD. This translates to a silky-smooth gaming experience. In the PC Pro benchmarks, the Zephyrus achieved a scorching score of 130, while I ran the Metro: Last Light Redux benchmark at 71fps; turn SSAA off and the frame rate rises to 124fps. Put into perspective for competitive gamers, playing Counter-Strike: Global Offensive (CS:GO) with everything maxed out at 1o8op renders at around 30ofps. Unplugging it from the mains drops the framerate in CS:GO from 300fps down to 12ofps. 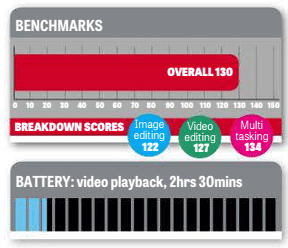 This leads me to battery life, which was 2hrs 3omins in our video rundown test. 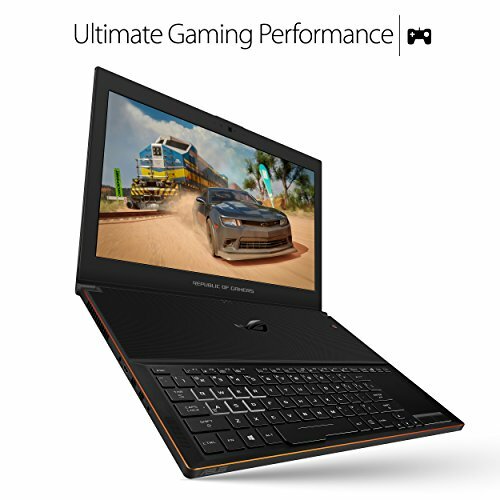 That’s unsurprising, given the sheer amount of power on hand, but still poor in comparison to other gaming-centric laptops, such as the Razer Blade. At least it’s quiet. Two fans dissipate heat from the side and rear and they do their job admirably. The flipside is that, in keeping things so quiet, the cooling suffers. After running benchmarks for half an hour, the CPU cores reached 95°C and the GPU hit 75°C – that’s awfully hot.